The Billionty-Oneth Geek: My church is beardy! Oh man, what a day. Yesterday was a long day of travelling from one end of the city to the other... up and down, left and right all over the subway grid. I woke up at 9 in the morning (ohhhhhh...) and finally arrived back home 10:30 at night. While I was travelling around on the subways and streetcars, it gave me time to meditate as well as reflect on several things. Early wake ups aren't exactly my best friend, but fortunately I had to do it several times earlier this week, so it made this morning much easier (not necessarily better though). A friend of mine invited me to her church and I promised her that I'd check it out sometime. 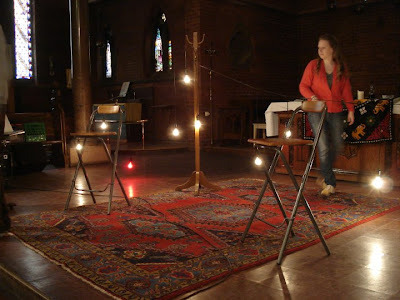 I have a few friends that had visited this particular church in the past, so I was interested in seeing this place for myself. It's this quaint little church located in downtown Toronto, at the junction where if you step on one side, you could end up in the ghetto, but if you were to take two steps in the other direction, you'd end up in the financial district. A stark contrast. I think it's cleverly located anyways. They have a nice service going on in the mornings and a newer one in the evenings. I try to be an observant person in general so I couldn't help but notice how everyone looked very prim, proper and professional. Every church that I visited in the past has had their own characteristics and I guess this is just how they stood out to me. But I must say, the whole time I was there and even after I left, I couldn't help but think of the community that I'm part of at FreeChurch Toronto. I was trying to think of how FT is different from other churches that I've been to. I've used different words and descriptions whenever I've had to describe it to friends in the past but I realized something new yesterday. It can all be summarized and described by one specific word: my church is beardy. From now on, I think that's how I'm going to describe it. But allow me to explain. Firstly, let's look at the literal. At the church, I've noticed recently that there have been a significant number of beards showing up. And not just the short kind of beards that the IT guy at your work might have, but rather more epic beards. 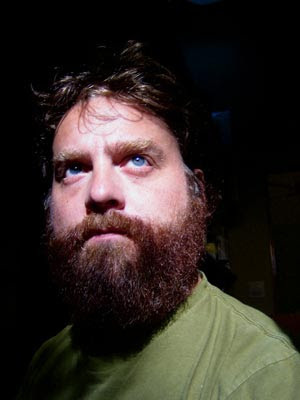 I'm talking about Zach Galifianakis type epic beards. These are the kinds that are rugged, unruly and sort of have a life of their own. Now, I've noticed that some people have trimmed down or have completely shaved off the beard, but it doesn't take away from the fact that at one point in the past three months, their epic beards joined us in worshipping God. The aforementioned Zach Galifianakis type of epic beard. But what does this all mean? I think the rugged epic beard can represent many things. For those blessed with the right genes (and apparently not me) the beard is something that grows naturally and freely if you let it. There it hangs on to the face in its glorious manner as it vies for the attention of passersby. When the wind blows at it, the beard moves but it never flies off because it's attached to the face. It loves the face. The face is its home. FreeChurch sort of takes on some of these characteristics. One of the things that stood out to me when I first visited FT was how freely everyone was when singing praises to God. People were welcomed to belt out as loud as they could, wave their arms in the air (like they just don't care), and like the epic beard, allowed to move around freely without any restraint. But it's not like people were punching each other out in worship of God, just as the beard doesn't punch the chin of its owner; the beard respects the face just as the worshipper respects his brother and sister. FT is located in the heart of downtown Toronto and when the weather's right, the doors are flung wide open as we worship God. Much like the epic beard, we hope that we can catch the attention of those passersby, not from the glory of ourselves but rather from the glory of God. Let's face it, we're all sinners; we've all fallen short. Sometimes we do the things that we know aren't right. We are weak, but it is okay, for He is strong and provides a solid way. Even the beard understands this. The wind might blow at it sometimes, tempting it to move in one direction or the other, but the hairs on the beard are smart, knowing that its foundation lies on the face where it won't let it just fly off. Lastly, growth. Just as the beard yearns to grow everyday, so does the church at large. The more its allowed to grow, the more epic the beard will get. When I refer to growth in a church, I don't necessarily mean growth by numbers. Sometimes numbers are just numbers, they're only a statistic. More importantly, the growth that we can experience within ourselves is what can make the church epic. Be a bit more loving, a bit more joyful. Be a bit more peaceful and patient. Be kind and good, faithful and gentle. Experience that self-control. Much like the unruly beard, this post sort of took a life of its own. But it makes me wonder what kind of a beard Jesus had. Later geeks. Yo man, your church sounds awesome. I wish I could attend a beardy church. One day maybe...perhaps when I've grown an epic beard of my own. I should tell Laura to go to your church. She likes beards. dude . . . amazing analogy!